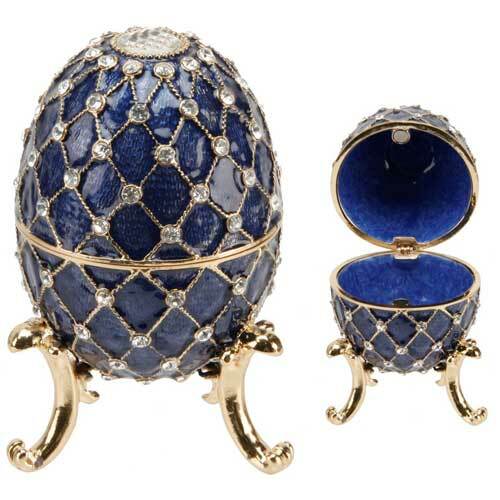 Cobalt Blue Decorated Egg Trinket Box studded with sparkling Crystals and patterned with gold plated decoration. Enamelled inside and out with gold plated edgings, hinge and ornate legs. edgings and hinged to open.